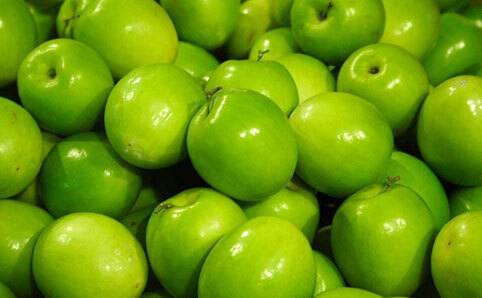 Granny Smith is one of the best cooking apples with a sensational tart, tangy flavour. When fully mature the sweetness level of this popular apple increases. This Australian native was discovered in 1868 as a chance seedling by “Granny” Anne Smith of Ryde, New South Wales. One parent might have been a French Crab Apple. Grannys are known for the distinctive green flesh, which sometimes bears a red blush, and their very tart flavour. An all-purpose apple, Grannys work equally well as a snack, in pies or as a sauce.